Owen Duggan's music is inspired by the folk music of the US, Canada and the British Isles as well as jazz, classical and world music. Applauded for its positive message and wide appeal, Owen's CD for children, An Elephant Never Forgets, has won numerous awards including those from National Parenting Publications (2006), Parents' Choice Foundation (2006), Children's Music Web (2007) and West Coast Songwriters Association (2009). According to the San Antonio Express-News his music is "reminiscent of the best of Burl Ives, Tom Paxton and Pete Seeger." 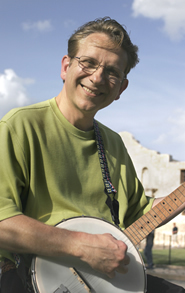 A multi-instrumentalist and energetic performer Owen sings and plays guitar, banjo, keyboard, flute and Irish penny whistle. In 2008 he signed with MRI Associated Labels (RED/Sony) and in 2009 he presented his music at the New York Toy Fair. In his home state of Texas he has appeared on live television and at bookstores, schools, museums and community centers.